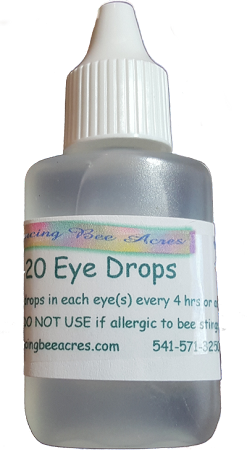 BV-20 Drops are made from pure bee venom and a bacteriostatic sodium chloride mixture, these drops are proving to be great for a variety of problems. From using for the eyes (blurry vision to macular degeneration) to using for the nose (sinus trouble to headaches) to even using in your ears (for wax build up), these drops can help many different problems. 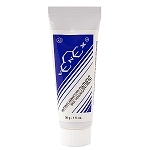 15 ml bottle with drop tip for ease of use. CAUTION: this is REAL BEE VENOM, greatly diluted, but still venom. DO NOT use this product if you are allergic to bee stings as it could result in a very severe reaction even death. Keep out of the reach of children. Just for the record, I had glaucoma two years ago and was using prescription medication. When I discovered the drops, I stopped those and at my last checkup, the Dr said my eye pressure was that of a person in their 20's!!! Yayyyyy to the Bees!!! I have floaters in my eyes, sometimes quite severe. After using the BV-20 Eye Drops for a few days, the floaters disappear. I love these drops and will continue to use them.